Content marketing should be viewed and valued as a strategic business activity for any organisation. It is fundamental to growing your online presence, adds value to your target audience and is a critical asset for generating revenue growth for many other reasons, some of which we will go through in this post. In HubSpot's Demand Generation Report 2017 they reported that "Larger organizations seem slower to adapt content marketing, while remaining more reliant on paid advertising and branding. Interestingly, these same larger companies are spending far more per lead on average than their smaller counterparts. To reduce their demand generation spend, one possible tactic could be to re-allocate time toward lower-cost marketing tactics like content marketing, SEO, and email marketing". This post will go through the key 7 ways content marketing drives revenue growth for organisations but let's start by defining what content marketing is exactly. Content Marketing is a strategic approach to marketing that centre's around creating, publishing, distributing and promoting valuable customer-focused content specifically to address your target audience's needs and help them find you online. It comproses of emails, social media posts, product pages on your website, campaign landing pages, your blog etc. In order for content marketing to be effective, it needs to be educational rather than promotional. So when planning your content and campaigns, make sure it will add value rather than being used as an opportunity to pitch your products and services. HubSpot also reported in their demand generation report that "organizations exceeding their revenue goals are more likely to use content creation, online advertising and branding/public relations marketing tactics, with content creation leading the pack by a substantial lead". On average, B2B marketers allocate 28% of their total marketing budget to content marketing. One of the key reasons for this is due to the changes in the way people buy products and services. More and more people start by looking for information online, seeking answers to questions, and researching solutions for business challenges. So in order for businesses to compete online and drive profit they need to ensure they have a well planned content marketing strategy as part of their overall digital marketing plan. 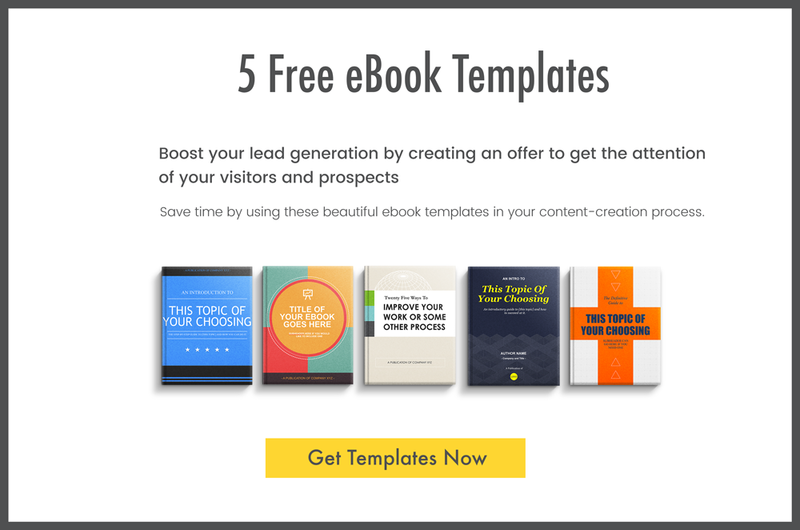 If you need some eBook inspiration and some Free templates to help you get started download our 5 Free eBook Templates here. 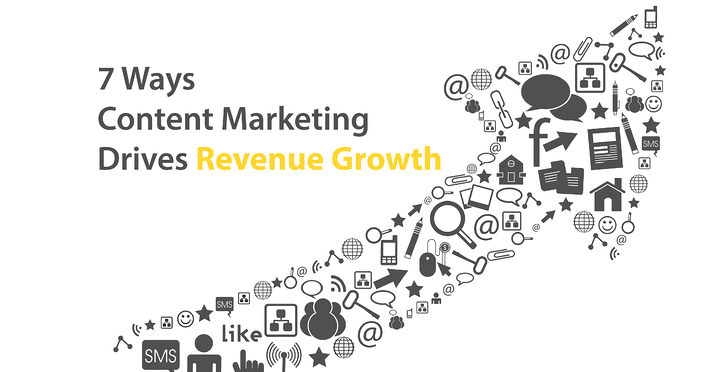 So How Can Content Marketing Drive Revenue Growth? If your website is content-rich and solves the problems, challenges and answers the questions of your ideal customers then it will drive traffic and work hard at helping your organisation achieve revenue and company goals. But don't forget to continue to educate your existing customers as you need to keep engaging them so they remain happy customers and possibly look to you for additional services or products. So make sure that you plan and create content to address their ongoing needs. When planning content for your website, you need to make sure it maps to each of your buyer personas at each stage of the buyers journey. By doing this you can attract prospects no matter what stage they are at in the process. The more content and pages you create, the more traffic you can drive. Check out our post How To Attract Ideal Clients to your Website for some tips on how to use content to drive qualified traffic. Content marketing is one of the most cost-effective ways to generate leads. By creating content that is useful for your target audience, your aim is to keep them coming back to your site as many times as it takes for them to convert into a lead. Consider how many touch points they will have leading up to a sale. By creating a relevant offer like an eBook or Checklist for example, your visitors can download this in return for their email address if they are interested in what you have to offer. Promote your offers using informative and valuable blog posts, video's, infographics etc and include a call to action for a relevant offer in all of your blog posts. 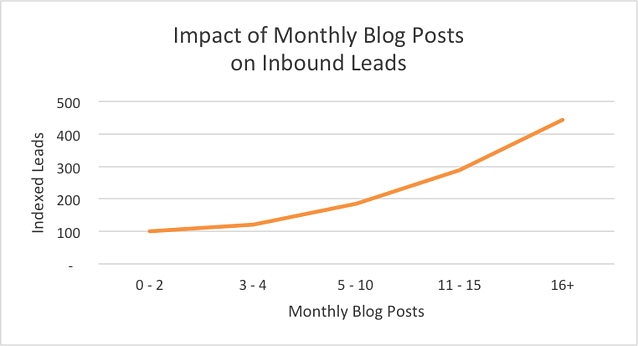 Take blog posts for example, this HubSpot study measured the impact of monthly blog posts on Inbound Leads. As you can see the more posts published the higher the number of leads generated. The best part of this, is that some of the posts you publish will continue to drive leads long after you publish them. The reason for this is that content marketing, if done well, has a compound effect over time. If you start generating content and publish say 4 times a month, you'll have approximately 52 pieces of content in the first year and all of the visitors and leads associated with those. The following year you may do the same and produce another 52 pieces of content, or maybe even more. In that second year you will still be seeing results from the content created in the first year and so have the potential to see results for 104 pieces in that second year. Compare this to using paid advertising to attract traffic - relying on paid advertising is not cost effective in the long term, content marketing however will be a clear winner for a cost-effective long lasting ROI. Compounding blog posts make up 10% of all blog posts and generate 38% of overall traffic...AND over its lifetime, one compounding blog post creates as much traffic as six decaying posts. Check out our Characteristics of a Lead Generating Website blog post to learn more about how to use content to boost lead generation. Content marketing has huge benefits for SEO because the more content you have, the greater the chances are of someone finding you in search results. While PPC should be a small part of your marketing strategy to attract visitors, remember that it's like renting a car - once you give it back the benefits dissappear. If your content is useful and has high engagement, it will help build your SEO over time to earn higher rankings in search engines for your organisation. As a result it will help reduce your need for implementing paid advertising strategies to attract traffic. Make sure your website is structured and optimised to rank for as many relevant keywords as possible e.g. don't just have one page listing all your products or services, you can have a 'summary' page but also include individual pages for each service or product too if it makes sense for your business. Use low difficulty, long tail keywords for blog posts based on what your target audience are actually searching for as these will be easier to rank for. With buyers turning more and more to the internet to help solve problems and find solutions to those, it is essential to provide content for them. Apart from driving traffic and generating leads, content marketing is also a 'sales toolbox'. Content such as eBooks, guides, case studies, infographics provide a value-added reason for sales reps to connect with prospects. They can then use this information to address and overcome common objections that potential buyer's may have. These days, buyers are more likely to purchase from organisations that provide useful content that engages them througout the buying process. When your sales or marketing teams have connected with a prospect use tactics such as email marketing to help move them along their journey. According to Demand Metric, it costs about 62% less than outbound marketing and generates on average more than 3 times as many leads. Done well, it will generate predictable growth which is something most organisations strive to achieve. This in itself is one of the key reasons why content marketing should be a key tactic adopted in driving revenue and profit. Content is one of the best ways to establish and position your brand as a thought leader. This is especially the case for B2B companies. If you are consistently creating valuable content thats helpful to your audience then they will be much more likely to trust you as a brand and as a result be more likely to be influenced by you and purchase from you. You must earn potential buyers attention and this is a very effective way to prove yourself as an industry leader. In order to drive revenue, prospects need to know that you exist. Getting your brand message across is a key part of any organisations marketing goals and content marketing is a great tactic for helping you do this. By using channels such as social media to promote your content you will be creating repeated brand exposure. By doing this you will build brand awareness. Check out our post on how to use content marketing to build brand awareness: 7 Powerful Ways of Using Content Marketing to Increase Brand Awareness for some useful tips you can implement right now. So if you want to achieve revenue growth and increased profit, you need to ensure that content marketing is a key component in your overall digital growth strategy. Plan it out well in advance and if it's something you are looking at as a tactic for driving increased revenue and profit in 2018, you need to start now! So forget about pushing products in the face of prospects, start by working out how to create a really useful content experience. Make sure any content you produce is aimed at making your customers’ lives easier and that it helps inform and educate them on how to make the right decisions when it comes to buying your product or services.